Who wants a FREE copy of Paige Carter? 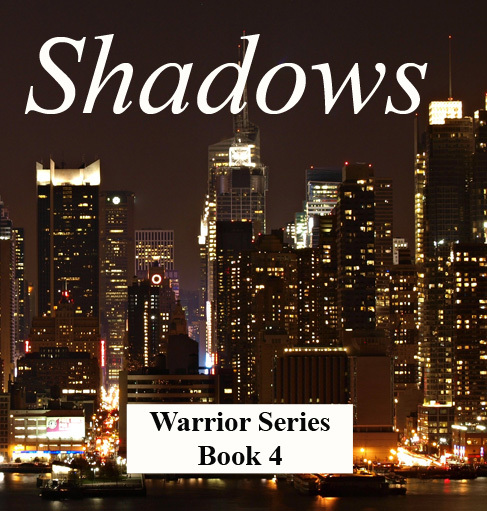 Shadows, Book 4 in my Warrior Series is now available on Amazon and Barnes & Noble. It is currently undergoing the approval process for iTunes and should be available within the next week. I enjoyed writing this book because I was able to incorporate a little of my law enforcement knowledge into the storyline. I hope all my loyal fans like this installment as much as they enjoyed the previous books in the series. For anyone who hasn’t started reading my Warrior Series, check out my Brochure. All pictures and buttons throughout the publication are links. It’s a quick and easy way to learn more about my intriguing world of warriors, fae and vampires. Happy reading! On a side note, After Dark is now available in paperback through Barnes & Noble and Amazon. OR…you can purchase hardbacks and paperback directly from my website. Dawn, Book 3 is currently being produced and will also be available in both hardback and paperback in the near future. Look for Shadows in print within the next month. Well, that’s it for now. I’m off to write. I will be releasing another anthology soon. Intrepid takes a closer look at the murders in New York as well as tells the story of Atticus and Tala. Look for Chaos, Book 5 of my Warrior Series in the near future as well as another stand-alone suspense novel I am currently working on. And, if you have any questions don’t hesitate to ask. You can contact me by visiting my Author page at www.melaniepsmith.com or just send me an email at author@melaniepsmith.com.